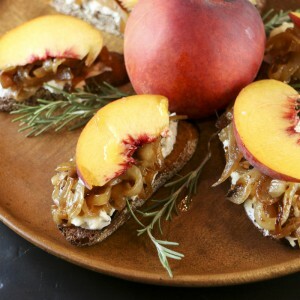 These individual appetizers are perfect for outdoor dining whether you are at the beach, at a picnic, on a boat or in your backyard. Shrimp, avocado and tomatoes are one of those classic combinations that just go together. Add a little horseradish, Worcestershire sauce, basil, lemon juice and some salty capers and you have a very satisfying appetizer. 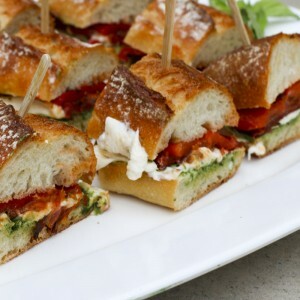 I serve these appetizers in handy little Italian mason jars. At 8.5 ounces each, they make a perfect single-serving container. I use mine for a variety of dishes. 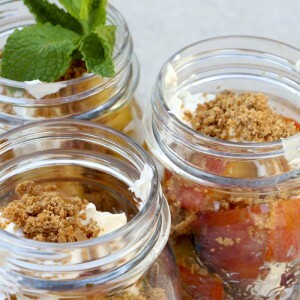 Try my other jarred recipes for Mango and yogurt breakfast parfaits or Grilled peach and Amaretti parfaits. See my post on how to chiffonade basil. 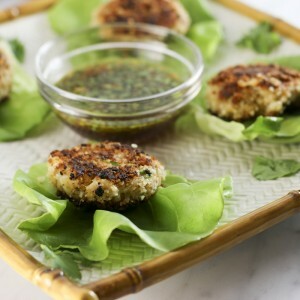 This is a great summer appetizer when you don't want to turn on the stove. 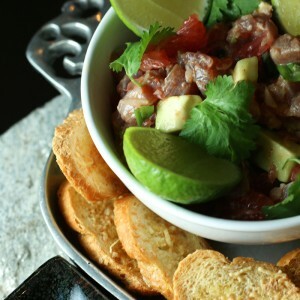 A little chopping and a little tossing and you will have these appetizers put together in well under half an hour. Put first seven ingredients into a large bowl and set aside. Whisk together the next seven ingredients. Slowly add olive oil and continue to whisk until the olive oil is combined with the other ingredients. Taste and adjust seasonings. Pour dressing over the shrimp and vegetables and toss. Set aside. 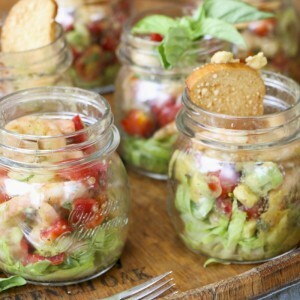 Put a bit of the sliced romaine lettuce in the bottom of each of six 8-ounce mason jars. 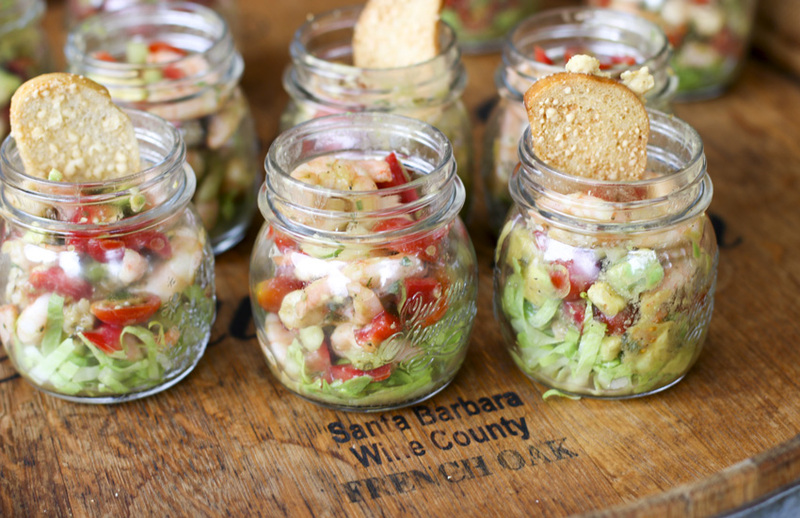 Top each jar with the shrimp and vegetable mixture. Cover and refrigerate until ready to serve. could you tell me what the measurements would be for 3 servings? Just cut the quantities in half and you should be good to go. Happy New Years! Can you make a day in advance? HI Julie — I would not assemble everything a day in advance. 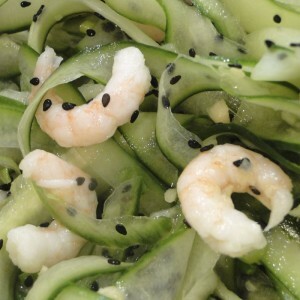 The avocado will brown and I like to add fresh shrimp. 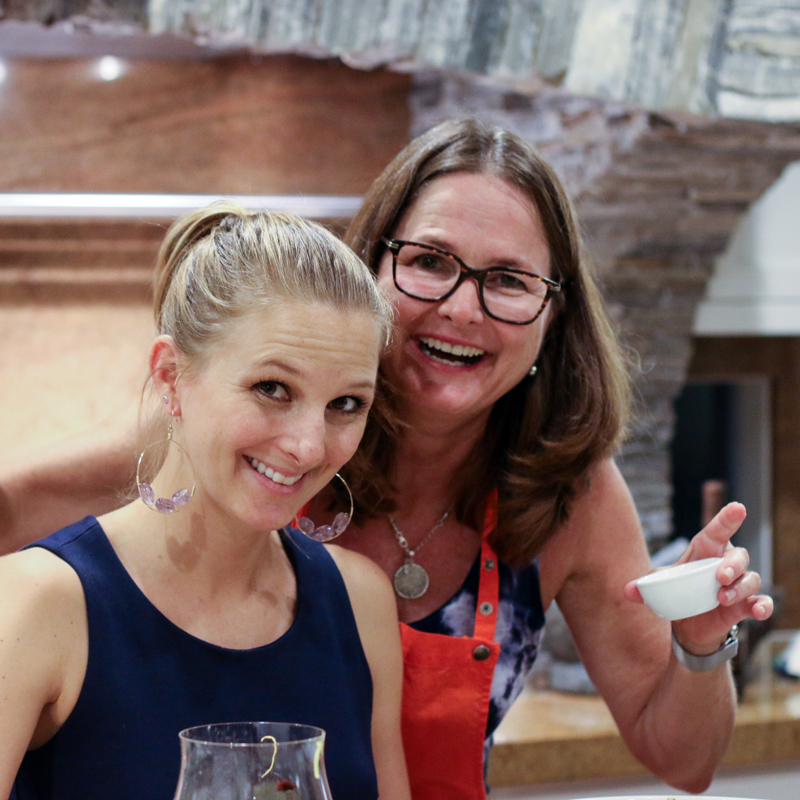 You could prep the ingredients in advance to minimize the final prep.